This presentation of the course has now come to an end. Thanks to all those who attended. Any future presentations will be publicised when they occur. 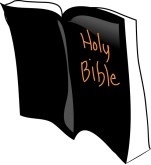 New to the Bible or want to go deeper? This 8-week course will show how the key books, famous characters and epic events form one BIG story, from Genesis to Revelation. The course also provides tools and skills that help apply the Bible to everyday life. You don’t have to attend every session… come when you can.